Some one ask how to gap PA Blue stone. I don't focus on any spacing when I place blue stone. I just focus on putting one next to the other. Mixing up the sizes and colors when I can . With natural cut stone you will automatically have a gap between them. I just try to get them as tight as I can. The PA blue stone is not perfectly square. 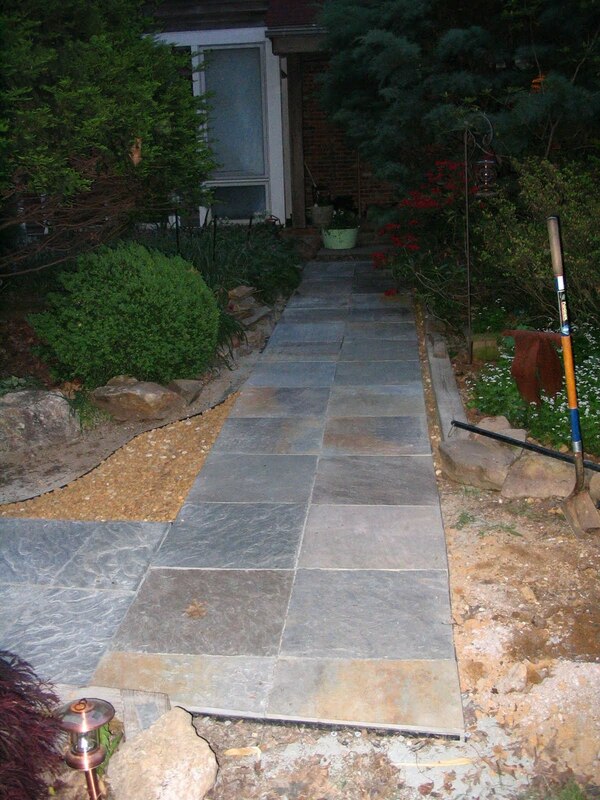 This patio I did some time back. When I was planned this out on paper I did not realize I had a long running joint in the middle. Not until the job was done. 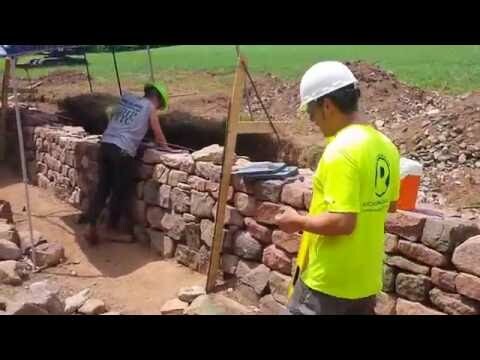 Just like stone walls running joints should be avoided when possible. Of course on this walk running joints can't be avoided. 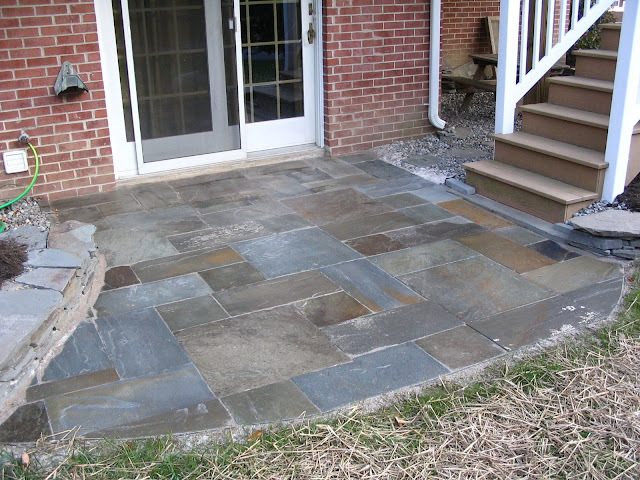 This stone is PA Blue stone 2 x 2 SQ multi color with natural cleft. Multi Color - as seen in both photos blues, dark, light, brown all kinds of colors. Natural Cleft - this means the stone has natural textures and ranges in thickness from 1 1/2 x 2 inch. 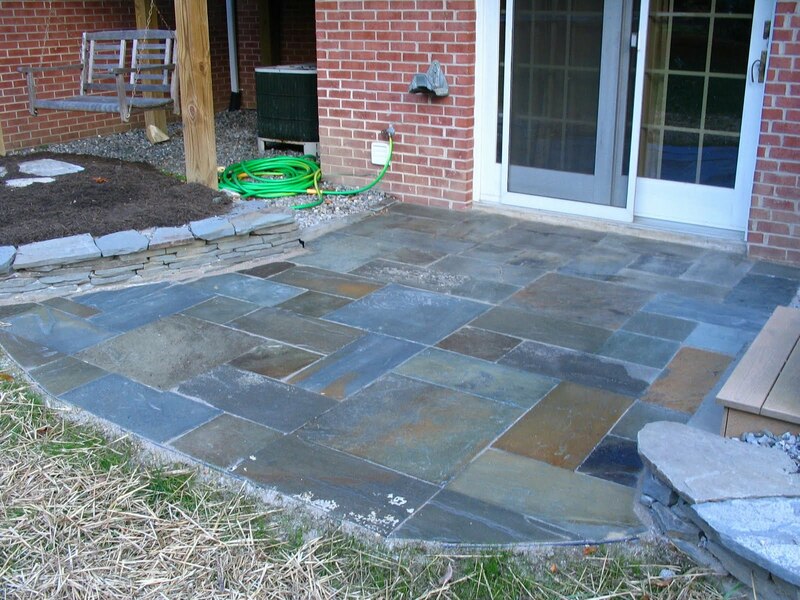 Special thanks to my local stone yard Badolato located in Cockeysville MD for having the best selection of PA Blue stone in the Baltimore metro area. Pricing for Multi color - Natural cleft runs about $5 per SQ FT.
Tell Chris the "scooter guy" sent you!